A garden is not just a place to relax and enjoy the sunshine, but also a place to meditate on life's deeper issues. Catholicism has a long tradition of linking plants to important Christian concepts, and a carefully planned Catholic garden can allow you to deepen and explore your relationship to the divine. Although it was used medicinally by Cretins, Greeks and the Egyptians more than 2,000 years ago, the Madonna lily has a more recent history as a powerful Catholic symbol. The brilliant white flower, carried aloft on a meter-long stalk has an open trumpet shaped with bright yellow stamens projecting dramatically, creating a striking display. According to Mary's Garden, "All blue and white flowers are associated with Mary as bearing her colors" but the Madonna lily has a special place denoting "the purity of Our Lady." 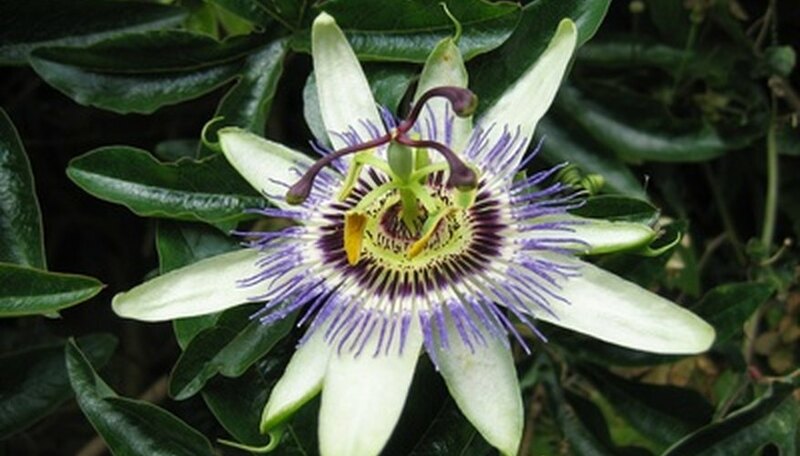 The passion flower is a colorful and complex bloom common to South and Central America. When the Spanish Conquistadors invaded the Americas, they ascribed complex Christian symbolism to the flower. According to Paghat's Garden, an Augustan friar named Jacomo Bosio formalized the symbolism of the flower, stating that the five petals and sepals symbolized the apostles minus Peter who denied Jesus and Judas who betrayed him. The 72 filaments in the corolla represent the thorns in Jesus' crown. The three stigmas symbolize the nails which pierced him, and the five stamens represent Jesus' five wounds. The rose has a rich and multi-faceted tradition as a Catholic symbol. Roses are linked to the rosary (descended from a Latin term meaning "garden of roses"). According to Catholic Culture, they are also linked to an apocryphal legend where roses and lilies were found at Mary's tomb in place of her body. Roses also take on religious significance based on their color. According to Catholic-saints.info, a "red rose symbolizes martyrdom, a white rose symbolizes purity and a wreath of roses symbolizes heavenly joy."